After years in the water industry Benford Graham founded his first company in 1978. His family has been drilling wells in the Carolinas since 1910 and he grew up helping his father and uncle on their drilling operations. 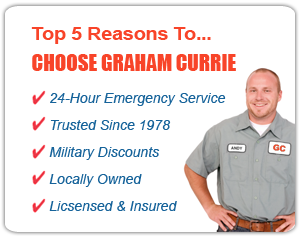 Through the years Graham and Currie has expanded and diversified. The company has worked along the east coast from Georgia to Pennsylvania and as far West as Tennessee. Once a simple water well company, Graham and Currie built slowly over years, garnering new experience and exposure along the way. 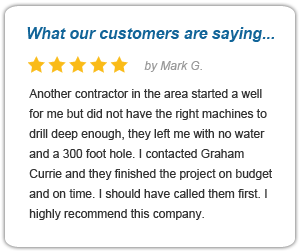 Now Graham and Currie provides many different drilling services to help not just residential customers, but commercial, methane gas, environmental, geothermal and geo-technical clients as well. With the growth has come new opportunities and challenges, but Benford has remained steadfast in his goal of pleasing each customer as an individual. The family run and operated business still carries on almost 100 years of excellence, honesty, and hard work. 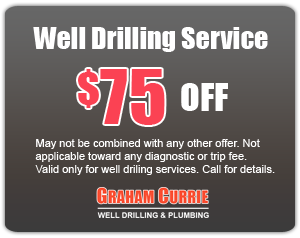 Graham and Currie currently provides a full range of drilling services for commercial, environmental and residential customers. The company can perform a vast array of work from simple residential drilling and water filtration to large-scale geo-tech projects and installation of geothermal loop systems.